While washing the dishes, I noticed a black shape out in the field behind my house. I ran to get my camera with its long lens; looking though it I could see it was a turkey vulture, so I went outside to get some shots. I was careful not to disturb them, and they let me get fairly close, at which point I saw that they had dead prairie dog. 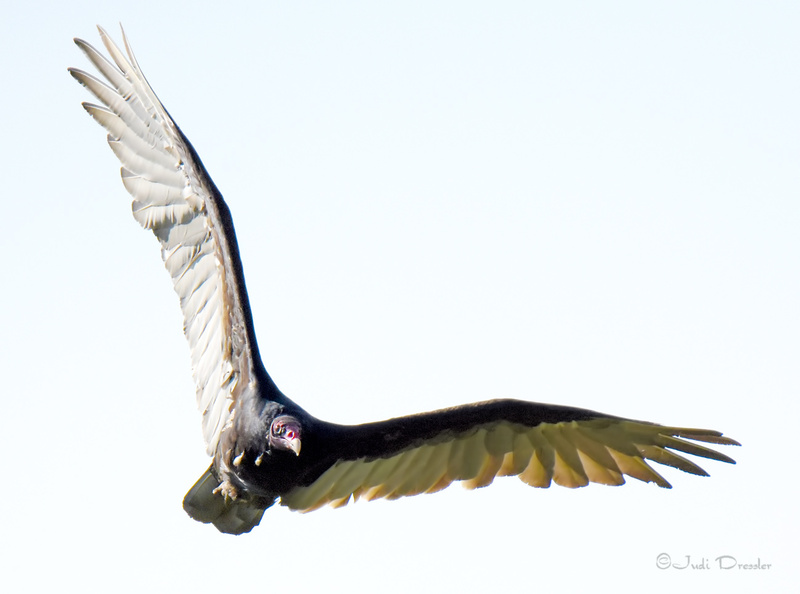 By then there were a couple vultures, and then a third one flew in which is the one in the photo above.